Welcome to Riverwood Country Estates, a 10 homesite enclave of custom built homes, tucked away in Riverview, each on over an acre! This BARTLETT CUSTOM HOMES beauty has a circular driveway leading to the front of the home, with wrap around porch. Upon entering the grand foyer with volume ceilings, two Doric pillars open into the large living/dining room combo, with cathedral ceiling to 17 feet,, which also opens up, through two sets of French doors, to the 25x14 Sunroom with plenty of windows allowing for a stunning view of the custom pergola, rose garden, and backyard. Back inside, the huge kitchen, with the second pair of Doric pillars, has solid surface counters, 42" upper cabinets with crown molding, several glass front paneled cabinets, a large walk-in pantry, breakfast bar, and looks out to the 24x14 Family Room, with custom built in cabinet feature wall. You may also access the sunroom from here as well, for great flow when entertaining. 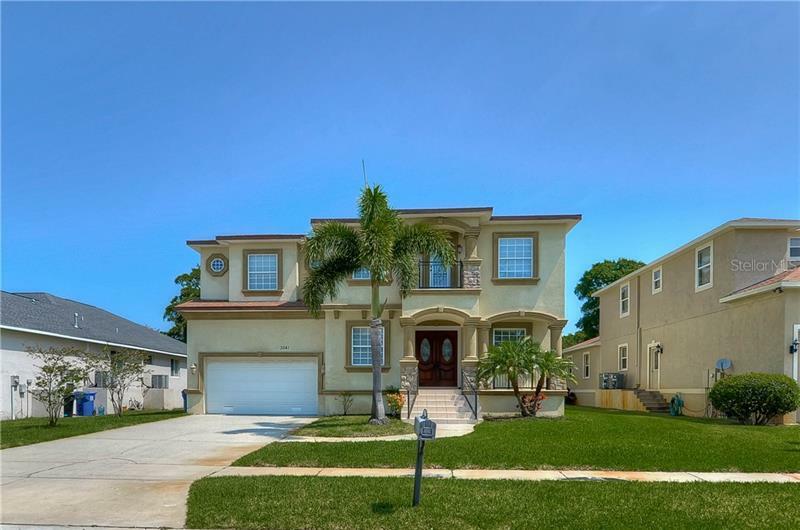 This 4 bedroom 3 bath home boasts over 3300sf of living space, 5000sf under roof, and a massive 1100+sf garage which includes several storage rooms. The owner's retreat includes 2 walk-in closets, walk in shower, jetted tub, dual vanities, and sitting area. The three way split plan includes three full baths. The "to-die-for" laundry room includes tons of cabinetry and a sink, space for a refrigerator, and more. Other features in the home include whole house vacuum, 2 stall barn, hay storage, feed room, paddock, Roof 12/2015, Main A/C 2014, 180' deep well & MORE!